The beautiful gardens at Hever Castle were laid out between 1904 and 1908 turning what was then marshland into the spectacular Gardens you see today. 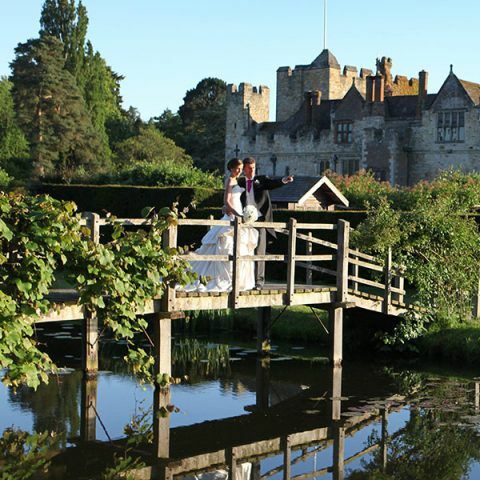 For a marquee wedding reception, Hever Castle offers the beautiful Winter Garden Lawn, a private lawn ideally located moat side with spectacular views overlooking the castle. The Winter Garden Lawn allows for a marquee of up to 600 guests. 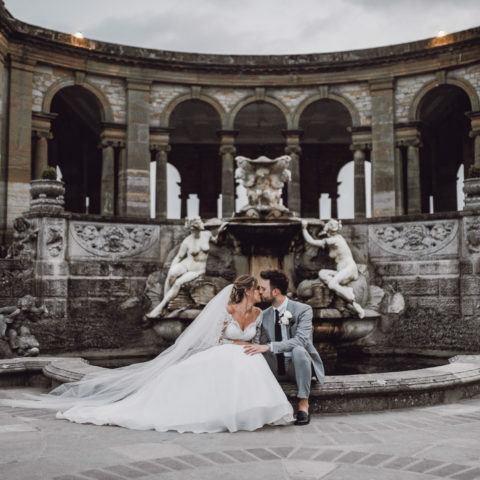 Given the nature and age of the Hever Castle estate, we request that wedding couples interested in a marquee wedding use one of two nominated marquee suppliers who understand the nature of our estate and whom we know and trust to look after not just our stunning venue but also our guests. 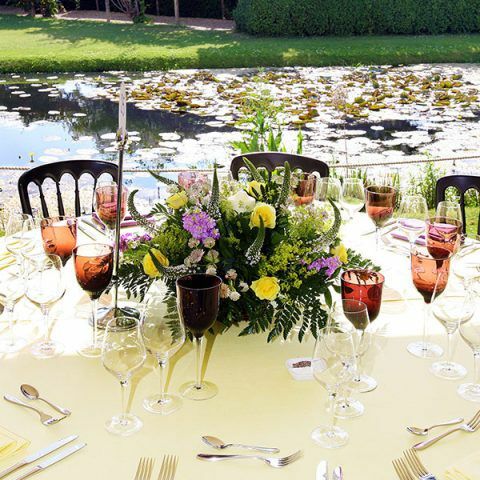 Catering must be provided by the on site catering team unless non-European cuisine is required, for which we have a list of nominated suppliers. 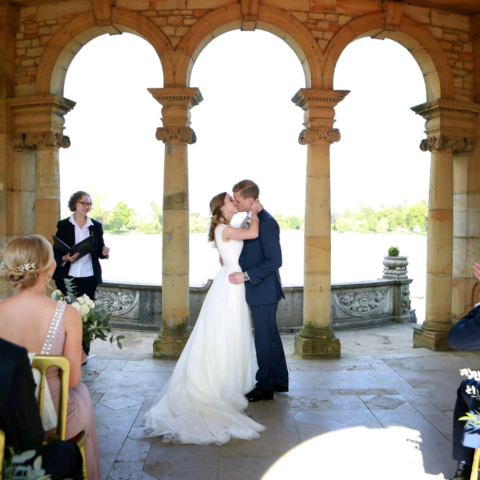 Bespoke quotations will be provided for couples considering a marquee wedding. Please contact us for further information. 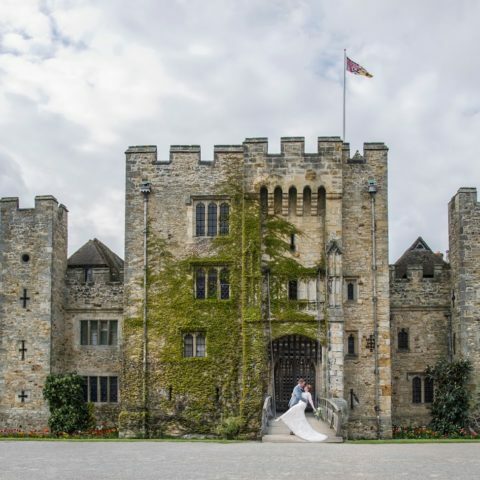 Wedding couples hiring The Winter Garden Lawn for a marquee wedding reception are requested to use the Hever Castle catering team unless an ethnic cuisine is required for which a list of nominated suppliers will be supplied. The stunning location in the heart of the Garden of England is complemented by a varied menu which offers a choice of seasonal dishes, produced by our own highly acclaimed and talented team of chefs. Using only fresh, and when possible, local produce, our menu’s offer an eclectic array of dishes complementing most tastes. We believe that your guests’ enjoyment of our food is fundamental to the success of your event and should you have any specific requirements, our Chef would be happy to discuss them with you and create your perfect menu. Should you require ethnic catering, we will provide you with a list of nominated suppliers.